The new Gold Medal for Technical Excellence and Innovation was created to celebrate Kinross’ technical bench strength and encourage written papers that detail the innovative achievements across the Company. 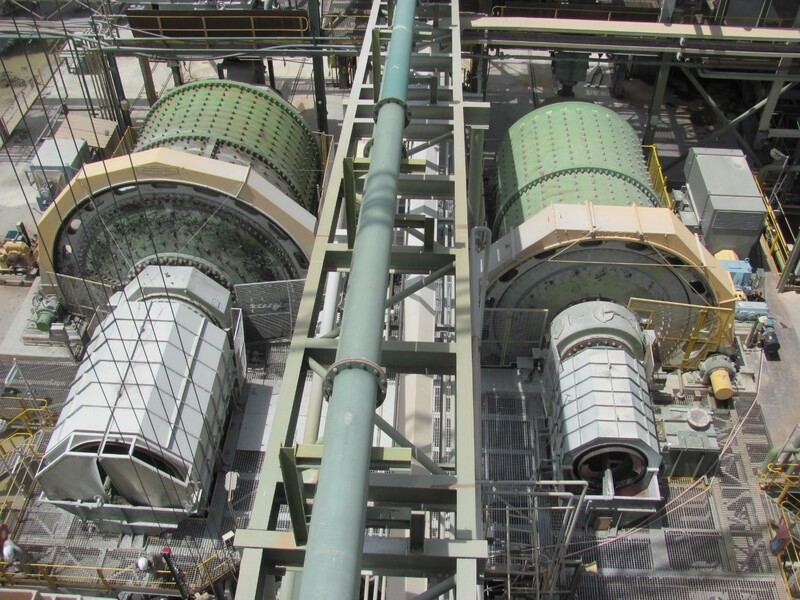 The paper was the product of the duo’s efforts to increase throughput at Chirano’s mill by finding a more effective way to grind harder ore.
An extensive review by Yves and Emmanuel found that it was taking too long to replace the heavy, all-steel liners inside of the grinding mill. The mill has to be shut down while the liners are periodically replaced, reducing throughput and operating time. The steel liners were switched to PolyStl™ liners, which are made with a mix of steel and rubber, making them 85 tonnes lighter and easier to change. The re-lining time decreased from 72 hours to 56 hours, significantly reducing the amount of time the mill is not in operation. In addition, more ore can be placed in the grinding mill because its operation is weight-based. Mill liners are costly, making their effectiveness even more important. “Company-wide, we spend $25-million a year in mill liners,” Yves said. Since switching to PolyStl™, mill throughput has increased by 4 percent. Additionally, with the mill down for less time and lower energy costs, there has been a total benefit valued at $2.4-million per year at Chirano. “This has been a real team effort with Chirano’s Metallurgy and CI teams. It’s an ongoing process to find the right balance of steel and rubber so that the ore can still bounce off of the liner for proper grinding,” explained Emmanuel. Yves accepted the award on September 30th in Toronto from Warwick Morley-Jepson, Executive Vice-President & Chief Operating Officer. *The SAG Conference is the Semi-Autogenous and High Pressure Grinding Technology Conference that occurs once every five years.